a lifetime of multitasking Cross Border, trans-cultural business development and Diplomacy. “First they came for the communists, and I did not speak out—because I was not a communist; Then they came for the socialists, and I did not speak out—because I was not a socialist; Then they came for the trade unionists, and I did not speak out...—because I was not a trade unionist; Then they came for the Jews, and I did not speak out—because I was not a Jew; Then they came for me—and there was no one left to speak out for me." "The world is a dangerous place to live; not because of the people who are evil, but because of the people who don’t do anything about it." "From "aren't you?" to "didn't you used to be?" is a short journey. Prepare for it now." Institute of Directors since 1975, Institute of Telecom Resellers in EMeIAAA. Favourite Books: Sidharta and Google but don't have time to read much other than contracts and legal documents so i buy the tapes of books and listen to them while driving. Reading the extremely long biography that follows will assist you in understanding should you have the time. Barry’s thorough understanding of International business formation, marketing and operations have made him a respected International business trouble-shooter and business development expert and as one of the UKs first Franchise consultants enabled him to take many fledgling companies to replicate their operations on a global scale and become brand leader. Barry is able to rapidly grasp an idea or a concept and have the vision and then design the necessary plan and put it into operation. He can then implement all the necessary requirements to locate, staff, furnish and build the business or project. He is computer literate but knows his limitations as to when tasks should be handled internally or when outsourced. Conversant with most Microsoft packages he can quickly grasp any new software with which he is confronted. Having already designed and published many websites he is convinced of the power of this medium as a marketing tool using permission-based mailing and SEO but is also aware of its limitations. Barry is conversant with all relevant International laws, accounting practices and regulations as well as tax efficient national and offshore banking principles to implement, to legally reduce taxation due. He is a leader with vision and can lead and motivate at board level with a firm, yet understanding hand. He can steer companies to the position of their chosen exit strategy, driven by challenge but knowing when the task in question is over his head. Once, having accepted the task however he will follow it to it's logical conclusion, "success". He does this with a combination of many skills accumulated in life through experience, a hands-on pragmatic approach to management and a thorough understanding of the problems and solutions involved in International business. He has a talent for building enthusiasm, overcoming obstacles, mixed with high energy levels. This results in creative and productive but long days. Barry has no difficulty in multi-tasking and is able to concentrate and work on many projects in different countries at the same time due to his excellent skills in Human resource appointment, delegation and management while keeping within a budget. Barry has not just visited most countries in the world but has lived in 5 so when he speaks of the German mentality he can back this up with years of experiencing it first hand, likewise with the American, Spanish, Russian and British mentalities. Barrington Roy Schiller ( Barry to friends,) was born in Watford, England of humble beginnings, with his father being a factory worker and his Mother working in a Laundry. Barry is a British National. Most of his education was achieved after leaving school due to his early interest and involvement in the world of business and language. After passing his "11 Plus" examination he attended Watford Technical High school, a grammar school. At the age of 14 though he lost interest in regular schooling when he started to organize a local youth club. He quickly realized that it wasn’t ping pong and party games that teenagers wanted so he converted the youth club into a once a week disco evening with himself and a friend as the DJs. Realizing that the equipment for the disco was laying around 6 days a week he contacted other halls and provided the same service to other towns. Back then it was more common to hire a band for weddings and special occasions but slowly the concept of a "mobile Disco" was born/created. Demand was so great that soon he had to hire other DJs and established a business as an agent for DJ’s and bands in the entertainment industry . Barry, personally continued to DJ in and around central London at private venues and at BBC Radio 1 sea side locations. This first taste of entrepreneurial business forced him however to learn basic administration skills, presentation skills as well as human resources management and logistics at an age when most of his peers were interested in no more than football. He left school shortly after with minimal passes in GCSE "O" levels. After taking his "O" level examinations he left to take up a position of Trainee Manager at Hunt Kennard and Co Ltd., a Timber Merchants in Harrow to please his mother who did not agree with him working for himself while under 21 and "under his parents roof". At that time the age of adulthood was 21 and his working class parents had difficulty understanding business finance so he also had to learn how to grow a business organically, i.e. without the help of outside funding as he wasn’t old enough to take out any loans. He also took up racing tuned Lambrettas and Vespas at racetracks all around the UK at the weekends. He took on an apprenticeship and gained his formal office administration training due to the fact that his entertainment business operated solely during the evenings and weekends. The apprenticeship was coupled with a day release system where he attended college one day per week to be taught timber technology. After his apprenticeship in office management and timber technology was completed he left the company and never looked back. He continued to successfully run his entertainment business throughout London and a pattern of working evenings and nights in entertainment began leaving the days free for study and other ventures. At 18 Barry took a TEFL course in Teaching English as a foreign Language and gained a position mornings with a local school which specialised in teaching English to French exchange students, coming to the UK specifically for that purpose. Due to the bonds he formed teaching those students many years before the formation of the EU he got his first insight into the mentality of other Europeans as opposed to the insular thinking of many of his countrymen at that time. His desire to travel to visit these countries and learn more about their customs was also awakened so at the age of 20 he sold the entertainment agency business and travelled to Paris, France and Radio Hilversum, Holland for a period to work as a DJ. At Barry’s Invitation the British Consular General visited shortly after the opening. Barry learnt the importance of PR, the Press and how to deal with them to obtain maximum coverage in print, TV and radio. By developing the corporate identity of the British centre he then positioned the company such that it became a viable pilot object to become a franchised chain so he recruited franchisees in Hamburg and Berlin from the UK before selling the business outright in 1983 to concentrate on the knowledge he had gained in the fields of the travel business and franchising sides to become one of Europe’s first Franchise Consultants. The town council of the City of Brunswick asked Barry to take a position on the board of the City's Twinning Council together with the Lord Mayor, Gerhard Glokowski ( Interior minister of Lower Saxony in Germany) with the particular area of responsibility being their relationship with their twinning Town "Bath". Barry worked with the Town hall to organise official receptions for visiting delegations and was responsible for co-ordinating civic visits to Brunswick and civic visits from Brunswick. These included school exchanges allowing him to expand upon his insight into travel organisation and promotion. Soon, Barry was arranging educational travel to the UK from most European countries and became Managing Director and Director of Studies for Cambridge College. Utilizing his Team building and multi tasking talents Barry was soon able to be free to take on new challenges by building and appointing a management structure to take on all his current responsibilities. In 1979 Barry founded "the International Club of Braunschweig", which he proposed to the town council of the City of Braunschweig, Germany and its Mayor. The objective was to raise the image of the city by attracting International dignitaries to the city to discuss matters of political and social importance. Among his responsibilities was the welfare of such dignitaries who were amongst others, the General Secretary of NATO, Dr Josef Luns, ( combining his Intelligence Career and his "other" career together) and visiting Royal Family members such as Princess Victoria Louise of Prussia, Duchess of Brunswick , Princess of Preussen and Lower Saxony ( a cousin of the Queen of England and only daughter and the seventh child of William II, German Emperor and Empress Augusta Victoria – Princess Victoria Louise was the maternal grandmother of Queen Sophie of Spain and the former King Constantine II of the Hellenes. In February 1980 barry had a daughter, Saskia. Barry also personally looked after the protocol for visiting diplomats to the city and organised social functions such as formal balls, .together with Oberstadt director Hans-Günther Weber. It was here that he was first introduced to Franz Josef Strauss (German defence Minister and Minister President of Bavaria) who he shortly after visited in his home in Rottach Egern, Bavaria to discuss the workings and plans of the Pan Europa Unio. Since initially visiting SHAPE HQ Barry had been active parallel to his day job and Barry was head of operations for the visit of Dr Joseph Luns ( The General Secretary of NATO from 1971 to 1984 ). Barry had been living in Braunschweig but was then reassigned to Helmstedt (Checkpoint Alpha in the british occupied zone of North Germany. With everything running successfully Barry once again started searching for a new challenge and parallel to being the CEO of his travel company he was appointed as the Managing Director and CEO for Germany, Austria, Switzerland and Scandanavia by a Spanish Designer Bridal wear manufacturer (www.Pronovias.com) to launch their brand in Germany, Austria, Switzerland, Sweden, Denmark, Norway and Finland. This involved being responsible for the marketing and distribution strategy forming the corporation, appointing accountants, solicitors and all other necessary professionals. He designed the merchandising strategy, the software programmes and all necessary back room systems. He was also personally solely responsible for the management of the company funds and budget and for all aspects of the production of two international fashion shows per year and the production of a corporate video for the company. He steered the company from nothing to become the brand leader taking the major share of the market within 3 years. Solely marketing their own brand language and cultural education centres in the UK (Cambridge College Ltd). Barry now formed a transatlantic and pan European Public Relations corporation to obtain maximum press coverage for his companies thus reducing the necessity of expensive advertising and Barry, who personally wrote the press releases became the most published travel journalist in Germany at the time. Barry was a member of the national union of Journalists at the time. Barry’s quest for new input and new learning was insatiable so he studied and gained the qualification to educate students obtaining their "diplomas in Administration Management" by the Chamber of Commerce of Helmstedt, Germany. After the spectacular success of Pronovias, the Spanish Fashion company , the garment export dept of the Spanish government contacted Barry requesting he inspect another manufacturer in Bilbao, which he visited but a stroke in 1985 and subsequent death of his Father on oct 7th 1986 resulted in him leaving his Intelligence duties at checkpoint Alpha and relocating BACK to the UK from where he continued the running of the companies as well as starting several new ventures. He did however work with a Fashion designer to create a brand of Jeans and Leisurewear. Being creative top class Denim was purchased in Japan and imported into Malta for production of the items which were them sent to Holland to finish and sell in the company’s own retail outlets. When the publisher (and Barry’s long time friend) of the leading Franchise magazine "Franchise Opportunities " took on the representation of the King of Malaysia’s UK businesses he offered the magazine and directory to Barry who purchased and rebranded it as FOPS (franchise Opportunities directory) and journal and it became the official organ of the association of Franchisees championing the rights of the Franchisee. This meant Barry designing systems for subscription procurement, advertisement design and sales, layout, editorial content and all the other aspects involved in the day to day running of a magazine. Barry undertook consultancy assignments from, amongst others, Property Rental and Management, Natural Beauty Products (a la Body Shop) and Carpet Cleaning companies. Barry’s main responsibilities for these companies was to re-organise their company in such a way that it became "Franchisable" i.e. a replicable business. This meant having to get their corporate identity designed, write their corporate manual, design office systems and practices, produce advertising materials, organise trade shows, media purchasing, marketing, public relations and contracts to sign up Franchisees. He would then build franchisee recruitment programmes and go on to recruit, interview and appoint franchisees in the UK and Master franchisees outside the UK. Part of the task of running a magazine and fashion Company involved the opening of a photo studio (photography being one of Barry’s hobbies) and working together with models. It was therefore a natural progression to train new models and assist them to find a reputable agency under the banner of a new company called Model placement Services. The Treaty on the Final Settlement with Respect to Germany was signed in Moscow, USSR, on 12 September 1990, and that paved the way for German reunification on 3 October 1990. Under the terms of the treaty, the Four Powers renounced all rights they formerly held in Germany, including and in regard to the city of Berlin. As a result, the reunited country became fully sovereign on 15 March 1991 Shortly after Barry retired and received an honorable discharge from his Intelligence activities from SACEUR at SHAPE. And in April 1992 Barry had another son, Adam. Although no longer officially being involved in the Intelligence community Barry used his Intelligence experience to form INTERTECS. www.intertecs.com , an International Detection, Investigatiion, Surveillance and Counter-Espionage Specialist company in C3I, (Command, Control, Communications and Intelligence Systems) providing Intelligence training, close protection and investigations internationally to corporate, government and local government clients. In 1993 Barry relocated to Spain to retire (for the first time) but the lazy life proved not to be for him so he formed a Spanish Ltd Company (SA) with which he then purchased a 7 storey dilapidated run-down hotel on a lease purchase option on the beach in Mallorca on the Balearic Islands of Spain and refurbished it. To optimize revenues he negotiated a contract with Germany’s largest Tour Operator to obtain maximum occupancy for the rooms, converted the first floor which was totally empty when he took it over to build a 60 cover Tex Mex Restaurant and a 150 person British pub as well as re-styling the swimming pool and surrounding area to enable dining overlooking the pool and ocean for 60 people. He then franchised the food and beverage sections of the business as a turnkey going concern. In 1996 he sold the hotel as a profitable business and returned again to live in the UK. During his time in Spain Barry also made regular trips to the United States and actually resided in Highland Park, Dallas with his family for a 4 month period during the Spanish Winters. While in Dallas Barry purchased working interests in oil well fields in Texas and became involved in developing the oil field infrastructure to get transport to the derricks and the oil and gas by-products to the refinery. At that time telecommunications was still state owned in most countries and Barry became involved in competitive telecommunications to reduce the costs (outsourcing) of communicating between the various offices and agents that he had appointed throughout the world for his eclectic business interests. He was fortunate in meeting a founder member of the "Telecommunications Reseller Association" (TRA) and a man who had been involved in all aspects of Telecommunications before and since deregulation in 1984 in the USA and he was invited to attend meetings of the TRA and held office on the International Resale Committee of the TRA. Barry was involved with many differing types of Telecom companies, both in the United States and in Europe and was involved in the Research and development of a global network of Fax over Internet communications nodes as well as the early development of an internet Browser, a forerunner of Internet explorer at a time when to use the internet it was necessary to enter each line of code. When Barry proposed the opening of a UK Chapter of the TRA in the USA the board was divided with several board members believing that it would not be possible for the TRA to support a chapter so far away especially with European competitive telecoms still being in its infancy in the UK and not yet conceived in most other European countries. It was therefore decided to support the formation of a new European association founded by Barry with several of the TRA members being on the board and reciprocal memberships of each others associations. It was therefore as the Director General of the highly renowned "Institute of Telecom Resellers in Europe", that Barry was instrumental in promoting de-regulated telecommunications globally. He therefore has a thorough understanding of the challenges which companies face in a deregulated utility environment. As a regular speaker at industry conferences, both in Europe as well as the United States and the host of many conferences on deregulation Barry also acted as a source of information for journalists and Global telecommunication companies wishing to know more about Global telecom issues, direction and opportunities as well as being ultimately responsible for every aspect of the Companies Strategy, direction and day-to-day activities. International Event and conference organisation with gala Balls was a major part of the ITRE’s work with barry personally choosing the venues, arranging exhibition space, speakers, sponsors and all aspects of what is necessary to hold such an event for the CEOs and decision makers of fortune 500 telecom companies from across the globe. Members were such companies as British Telecom, France Telecom, Worldcom, Energis etc. until the full implementation of the WTO meant that the work of lobbying to promote competitive telecoms came to a natural conclusion with thousands of competitive telecom companies all around the world. From the original incumbents in 2002, deregulation and convergence, success!!!!! Barry had always been interested in psychology and mental health and had studied Homeopathy specializing in Emotional and mental health issues many years before so in 2002 he returned to a full time course at the UK’s leading University offering Occupational therapy which covered all Human Health subjects; anatomy and physiology, psychology and sociology, Understanding Occupational Beings, Professional practice, Clinical diagnosis, Personal and Professional Skills, ethics and Research. This also included a professional placement at St Andrews Hospital in Northampton, England which is a psychiatric hospital run by a non-profit-making, charitable trust. It is by far the largest mental health facility in UK providing national specialist and secure services for adolescents, men, women and older people with mental illness, learning disabilty, brain injury, autism and dementia. While studying Barry continued to grow the real estate property investment portfolio he had had since the early 80s becoming an expert in buy to let strategies and financing modules enabling properties to be purchased for little or no capital thus drastically increasing the ROI, return on investment. Always being a preponent of Multi tasking Barry entered into a Joint venture in 2004 with a travel tour operator specialising in the Chinese market and opened a retail travel agency staffed by Chinese staff living in the UK. The company also produced a newspaper printed in the Chinese language for Chinese people living in the UK. On a visit to China he aquired a company and an office in Beijing which had all the necessary licenses to allow Chinese students to leave China and study in the UK. In 2004 Barry was also approached by a Russian businessman, working and living in the UK, to develop the Cambridge College, English education programm for the Russian market. It was while working on that project that Barry met his future wife Tatiana (Tanya) when she assisted with the translation of the texts into Russian. Barry then spent several weeks in Russia , which he has subsequently visited often, over the Christmas / 2005 New Year period to learn more about Russia, its people, culture and customs visiting Moscow , Krasnodar and Sochi- the home of the 2014 Winter olympics. 2005 heralded the year in which Barry and Tanya started to seriously investigate real estate ventures outside of the UK and involved lots of travel starting with Istanbul in Turkey in february to learn more about the country and people and the possibilities of selling Real estate to Russian citizens. Due to the fact that barry wished to remain close to his 13 year old son from a previous marriage he had to still remain based in the UK. After spending some time in April in France on the Cote d’azur Barry then visited Turkish property developers in Bodrum on the Agean sea in July before spending the rest of the year with regular trips driving along the Turkish coast getting to know them in depth before finally settling for Antalya on the mediterranean which to this day he still believes to be an absolute paradise with a standard of living which he had not found on any of his many previous journeys around the world. By September Barry and Tanya were slowly tiring of living in hotels during their monthly trips to Antalya so they got a new build apartment there with incredible views over the ocean coastline of not only the city but also the whole coastline of the region of Antalya. An experience not to be missed but not to be repeated without guidance. However, now done, Barry has a full understanding of the difficulties involved with relocating to and living in Turkey as a Foreigner. It was here that they ended 2005 and welcomed in 2006 before returning to the UK in January. While taking his 13 year old son to Miami for a holiday in February of 2006 Barry got to know the stretch limo driver and the idea of running a stretch limo hire company in the UK was born. This resulted in his actually purchasing a stretch limousine while on vacation and having it shipped back to the UK. 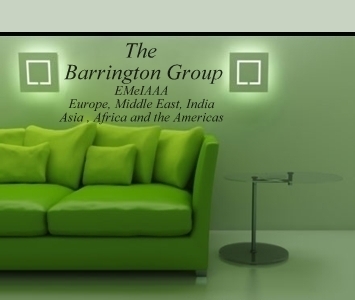 In March Barry and Tanya moved apartments to be closer to the mediterranean and In April Barry opened the first shopfront office of BA Realty in Antalya selling Franchises to sell Turkish apartments and houses to the Russian, British, Irish and other nationalities either wishing to re locate or obtain a second home in Turkey. The import to the UK from Miami of the stretch limo he bought on vacation was completed in May and the steep learning curve began in regard to the UK and International stretch Limousine market leading him to the oldest and most respected stretch limousine manufacturer in the USA, Tiffany. Negotiations were started and in June 2006 Barry became the UK Main dealer for Tiffany with a new company, Tiffany Coachworks Europe Ltd, set up to appoint dealers , both within and outside the UK. The deal was sealed with the purchase of 3 new stretch Limousines from the USA. While in the new home in Turkey Barry’s son who had been living with his mother informed barry that his mother was moving and he didn’t want to go with her. Tanya had fallen pregnant and the combination of these 2 events caused them to rethink the life they had had before, whereby when barry went back to the UK for a few weeks to look after the business and see his son, Tanya went back to Russia to stay with her Family and the decision was made to relocate permanently to the UK. Therefore in September Barry returned to the UK to live with his son in one of his Northamptonshire houses and in November Tanya joined them. Barry spent most of 2007 preparing for the birth of their son in April and restructuring his property portfolio and acquiring 3 more buy to let apartments. 2008: Sept 2008, was asked to become a community governor for a local school near his home, bringing him into contact with the workings of local government and the procedures involved in the running of a British state school. He attended several local government courses and became part of the "every child matters" program which involves the school, the community and the police to ensure that every child gets the help it needs both in school and in the local community. Barry’s speciality soon became rescuing companies where the company or the owners were having difficulties and either helping them to trade successfully again or help the current Directors to wind up the company with as little negative impact upon themselves as possible. In doing so he created the "Corporate Fostering" Concept allowing companies to be taken in on a temporary basis due to difficulties of the company or the Directors. Shortly after Barry was introduced to a static waterless wash vehicle valeting service The company was in serious trouble due to serious mismanagement and lack of successful operating procedures and policies which the company needed to operate in a blue chip environment. Barry took on the position of the Managing director and implemented policies and procedures which he had written. 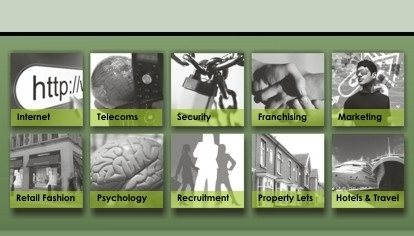 (please see list of policies below) Barry negotiated contracts with J Sainsbury’s supermarkets and a Major shopping mall, managed and successfully fought off certain litigation issues which the company had and assisted the previous owner with matters which he was being held personally liable for. However it soon became apparent that the problems caused by the previous owner and their continuing lack of understanding of the business world were insurmountable so barry saw no other option than to wind up the company and did so, first by ceasing trading and then having the company struck off the register. 2009 also saw Barry take over the reins of Attend. TV, a TV production Company specialising in visiting trade shows and exhibitions which they then broadcast on both sky satellite TV and the internet to reach a global audience. While there he set up exhibition and conference news crew globally with presenters and camera crews in all major cities globally. He also successfully managed to update and rebrand the bespoke operating system and update the look and feel of the Graphical User Interferface ( GUI) . Before passing the company back to the previous owner he added a Fashion Channel, a property Investment channel and an exhibition Channel to the programme channels with content being produced by camera crews and presenters and sold around the world. The idea of cleaning vehicles without water brought barry however into contact with the true facts of how many world problems are caused by a lack of Fresh water in the world today and how one child dies every 20 seconds because of that. Even in the UK there are hose pipe bans every Summer and in 2009 reservoir levels were at an all time low and droughts were expected despite certain areas suffering from floods due to too much rain falling in too short a period and then none at all. Barry therefore created a range of own brand waterless cleaning and valeting/detailing products, an online e-commerce website to sell the products and a highly developed valeting franchise to use and demonstrate the products before finally arranging a full international Franchise package. www.tiffanydrywash.com. At the time of writing this barry is seeking investors to take the company to the next stage. As of the beginning of 2011 Barry was looking for a new challenge but due to the majority of my time therefore being taken up for my philanthropic work I am now almost totally retired in my business ventures but am always open to FEE PAYING offers of the following activities in which I am well experienced and connected. Corporate Doctor and Foster parent. My executive assistant says that i give everything out at 100,000 volts and not many can take that so her job is to transform it down to 110 volts for normal people to swallow but even then they will note my sense of urgency in everything I do. People who meet me either wish to punch me or kiss me but they are seldom ambivalent to my presence. I just think that I am being honest and truthful but some others may interpret that as hostile which is not my intention. You will never get the best from me in a crowded room, I do not like to push myself to the front and give my opinion unless asked to do so but when i do give an opinion I will give an honest opinion and not many people can take the absolute truth so don't ask if you don't want or can't handle the total honest unbiased truth. I believe that a compromise is taking 2 good ideas and watering them down to one bad one so unless it is a matter of Life and death for ME I will not argue with you. I will just back away. It won't mean that you are right . It will just mean that I can't be bothered to argue. I am absolutely useless at small talk and I find it extremely painful so please do not make me suffer it. I follow the theory that :- "Great people talk about ideas. Average people talk about things and Small people talk about other people." but be nice to my kids and you have a sucker in your hands. I am not a sucker for beautiful women as I was already happily married to 3. I believe that networking is the blind leading the blind but am addicted to FB because I can interact with hundreds of people each hour. Positive thinking people terrify me and seem to be delusional most of the time. I want to work with hyper vigilant people who have a realistic view of the world and the challenges we need to overcome but if you cook me a meal i will say that it was lovely even if It was the worst meal I've ever eaten. Meetings are great but only after a strict agenda has been agreed or a business is developed so far that all that is needed is a signature. My word is better than any written agreement. It defines me and i keep it even if i regret the decision later. That is why i can do business globally on less than a handshake with hundreds of high level people who know that. Some only believe in things after they see them but a visionary must believe first so that he and others can see. Sometimes I am so stupid because I don't know that things are not possible, so I just do them and succeed whereas the clever people don't even start so always fail. .